This entry was posted on 10th April 2019 by dare hannah. 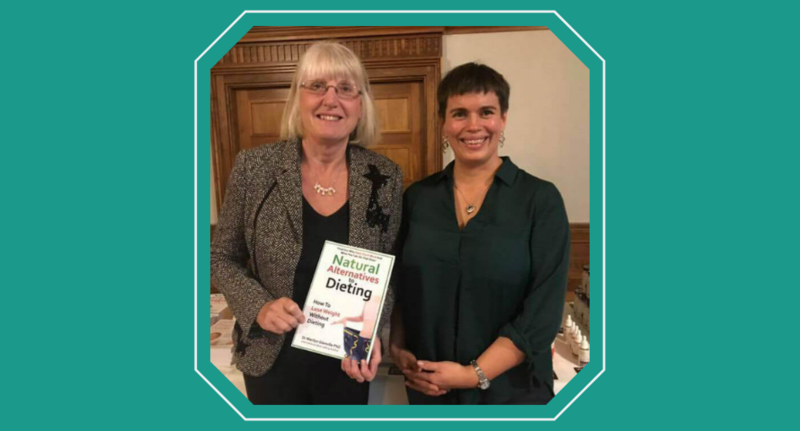 We recently welcomed nutritionist and author Marilyn Glenville to Bantry to give a talk in the Maritime Hotel, which was a huge success with a turnout of over 80 people (more than had attended the Cork event the previous evening - not that we’re counting!). This was a very exciting event for everyone at Organico because we have been reading her books for years, so when we invited her to Bantry and she accepted, we were absolutely thrilled! 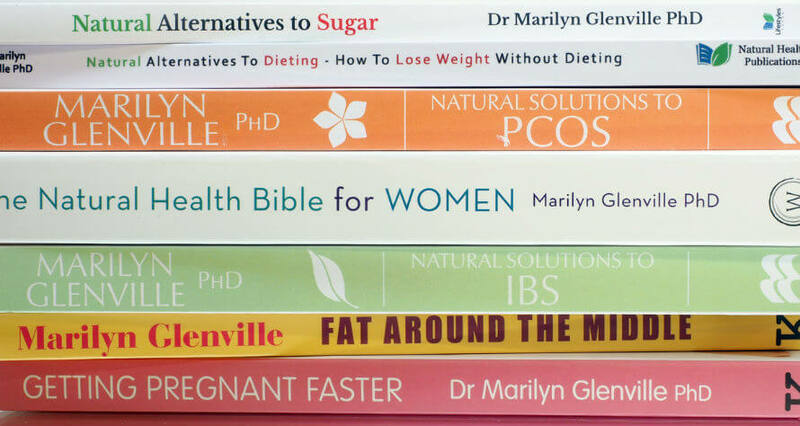 If you haven’t already heard of Marilyn, she is the author of many excellent Alternative Health books including Natural Alternatives to Alzheimer's, Natural Solutions to the Menopause, Fat Around the Middle, and her latest book, Natural Alternatives to Dieting. Her advice is always practical, and she does a huge amount of research, and she’s not into gimmicks or fads. In fact, some of the information in Natural Alternatives to Dieting was also in Fat Around the Middle - which I think is a testament to the fact that she’s not looking to jump on the latest bandwagon, but is sticking by her beliefs because they are evidence-based. Natural Alternatives to Dieting is not another dieting book because she does not believe in diets. ‘Diets’ simply don’t work’ was her main message - primarily because we always give them up after a period of time and all the weight simply goes right back on again. Instead, her aim is to introduce us to a way of eating that is enjoyable and nourishing, while allowing weight to reduce naturally over time and remain stable. The idea is to start eating to live, rather than living to eat, by using ‘life tools’ that are effective and simple to follow. “If you know you are among the millions who live to eat, then prepare yourself for a major life change. If you're at this talk, you obviously want to escape the treadmill of never-ending dieting, but of course you still want to lose weight, in fact you want to lose fat. With this way of eating you will. Get ready to turn your life around and start eating to live rather than living to eat. You'll be amazed at the difference,” she explained. ‘As a nutritionist, I can tell you that these statements are simply untrue’ she told us, before going on to encourage us all to do the complete opposite to them all! One important take-home message was about fructose and high fructose corn syrup. 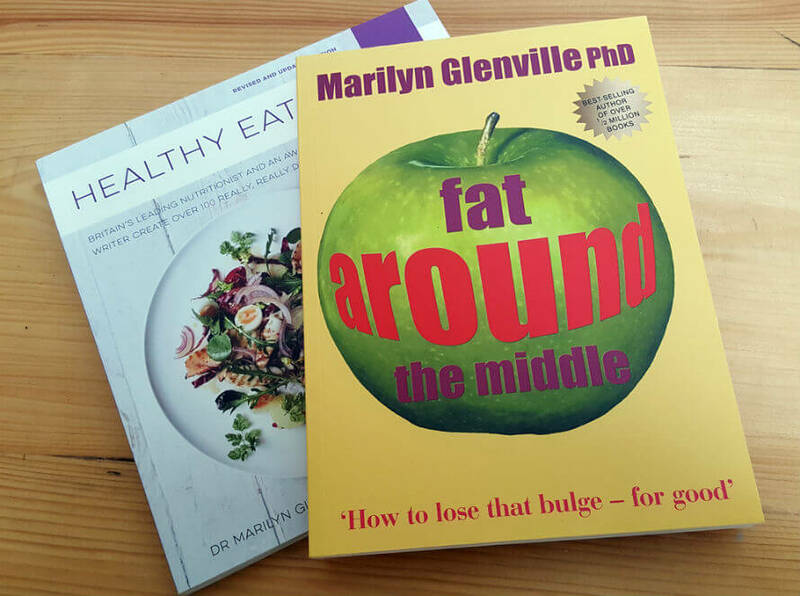 Marilyn advised that it should be avoided at all costs, because it is the number one cause of non-alcohol based fatty liver. We aren’t talking about fruit here, but fructose as an ingredient in sweet foods, often called ‘fructose-glucose’ or ‘glucose-fructose’ - and although fructose was previously thought to be good for diabetics, in fact eating it actually causes diabetes! Another interesting tip was about exercise, mainly that we need to vary it constantly if we are trying to shift weight, as when we do the same thing over and over our body just gets more clever at doing it more efficiently, which does not result in weight loss. So short bursts of High Intensity (HIT) exercises, combined with some longer walks and some weights, would be better (for weight-loss purposes) than just aiming to do 10,000 steps a day. This is good news for me as I find doing the same thing over and over terribly boring! And finally, don’t forget your nutritional supplements. A number of chemical reactions are involved in turning glucose into energy instead of fat. These are controlled by enzymes, which are themselves dependant on certain vitamins and minerals in the body. If you are deficient in these nutrients, your body will find it harder to let go of that weight. With Marilyn’s guidance, NHP makes a number of supplements which are ideal for maintaining the best nutrient balance for healthy weight - for example an excellent multi (called Lose Your Belly Nutri Support’, a nice reminder!) which contains a good range of nutrients including Chromium and Magnesium, both essential for blood sugar management, and all the important B Vitamins. It also contains CoEnzyme Q10, Green Tea Extract and Alpha Lipoic Acid, which is a bit of a mouthful but which helps us burn off glucose instead of store it as fat. Alongside Nutri Support, Marilyn suggested we consider a good Omega 3 Fatty Acid, some extra Vitamin C, and a good probiotic (the NHP formulation is great if your stomach is sensitive as it contains L-Glutamine which people find very soothing) and a vitamin D supplement. If you missed the talk, don’t panic! You can catch up through one of Marilyn’s books. We even have all the NHP supplements on sale (20% off) for the next couple of weeks. Have a lovely Easter folks!